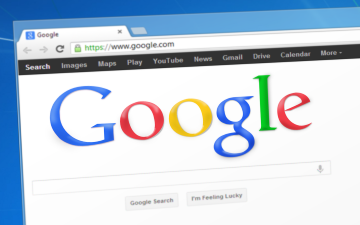 Search engines are the first place most of your leads go to learn about what you’re selling, but does your messaging to leads reflect what they’re searched for? Is the transfer of marketing data on search terms delivered reliably and quickly enough to affect the immediate sales output? If you’re running sales ops or marketing ops, this should be a key priority! More so than any fun gift item, witty one-liner, or lavish event, the most effective way to turn your prospects’ pain into active sales opportunities is speaking directly to your prospects’ business pain points. No matter how great your sales people are, if you withhold intent data from them, they simply can’t win as much. If they told Google their pain point, shouldn’t you directly address it? The world’s foremost expert on a given prospect’s common pain points is that prospect, and you can virtually read their mind with data you’re probably already collecting! Putting light to some of your dark data will reveal exactly what they’re looking for, whether that be better pricing, specific features for specific products, or something else entirely. This example is about search terms, which are stored in most marketing automation systems, and usually captured when prospects fill out forms after coming through a Google or similar ad (usually as `utm_keyword` or `utm_term`). Good SEO programs will also make this data available, but we’ll focus on Google Adwords data in this example. Search is an intent-driven channel. When beginning to research their purchases, 71% of B2B researchers use search. Your prospects ask Google about their pain before talking to their colleagues, mentors, friends, or mothers. This gives you data on a company’s problem before the person has even made the rest of the company aware of the problem! Research shows that 80% of prospects prefer to be reached by email. The second most effective follow-up channel has been shown to be phone at 78%. Responding to inquiries in less than an hour makes you 700% more likely to qualify those leads. We use automation to ensure our team reaches out in under 15 minutes (if you haven’t filled out a form on our site yet, go ahead and test our speed to reply). Take the search terms from your leads and load them directly into your email content (especially subject line). For us, this means pulling the UTM terms they used to find and click on our paid search ads. You can’t really personalize much more than using your recipient’s own words! Marketing professionals already know that at least 33% of open rates are based on subject line alone. So, how powerful would it be to have your outbound emails contain your prospects’ exact search terms right in the subject? These three elements combined make a huge difference. For example, for someone who searched “Salesforce Redshift integrations”, which one of these subject lines will perform better? Clear winner is the second. So how can you make this kind of thing a reality? Integrating your marketing platform, CRM, and outbound messaging apps would normally be a messy process. You know the kind… Searching for and reading up on obscure hacks posted on message boards, sometimes years ago, jury-rigging your application settings, etc. And if you can actually get something to work, it eventually falls apart as one or more of your apps eventually puts out an update that makes your tenuous system stop working. And if you can’t actually get something to work, you turn to your IT department, file a ticket, and begin the long wait. Full integrations for cloud-based apps: To tie together cloud-based services, including CRM, marketing platform, and email automation to plug up holes in your sales funnel (like the delays that lead to hot prospects going cold). 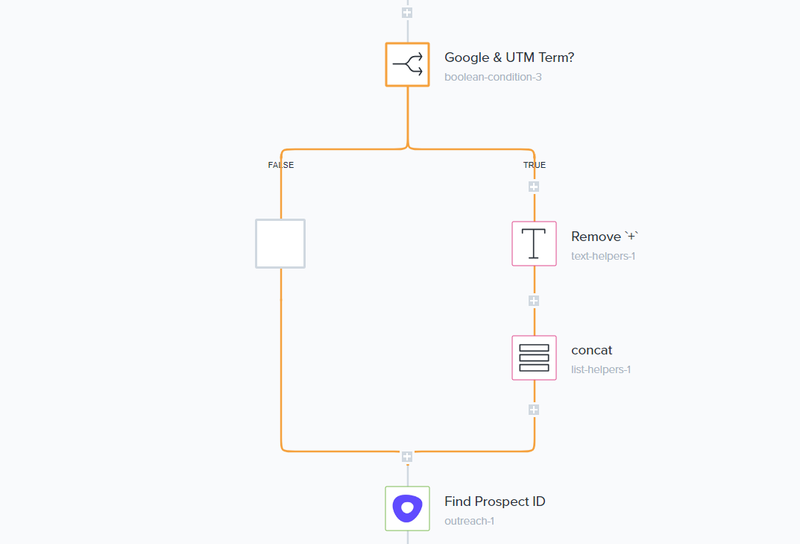 Full automation with powerful conditional / branching / Boolean logic: To reliably handle sophisticated processes that involve pulling in data from a variety of sources, such as pulling and formatting UTM codes from search to properly format for email. Ease-of-use: GAPs don’t require any coding. They have an easy-to-use interface that lets you drag and drop different applications into a workflow to automate your processes in minutes, not months. What if you could integrate search UTMs and outbound email with your stack with a simple drag-and-drop? Using a GAP, I build powerful, flexible processes for sales operations like this all the time. I’m not technical, either. You can do this. AdRoll uses a GAP to regularly prioritize its ad-sales targets. DigitalOcean uses a GAP to personalize instantaneous Slack messaging, which goes to more than one million different users. Interested in seeing what a GAP can do for your sales operations team? Tell 'em Hank sent you!